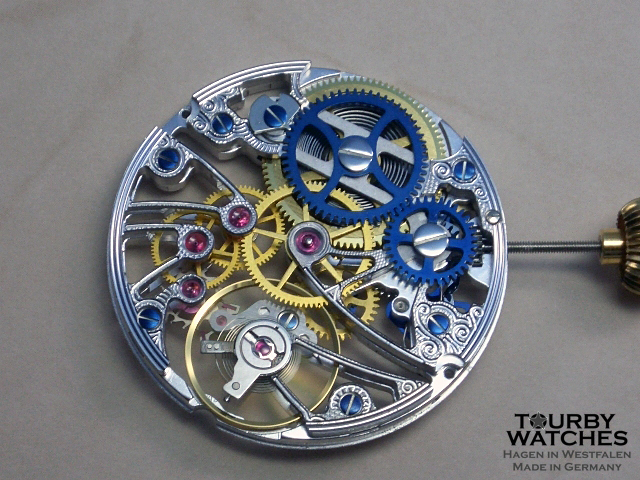 Here you can see an overview of our movements. 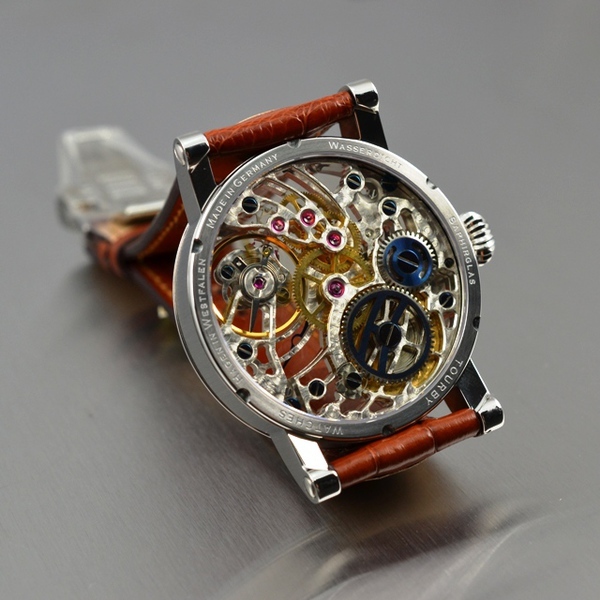 You have a choice between hand-wound movements or automatic movements. 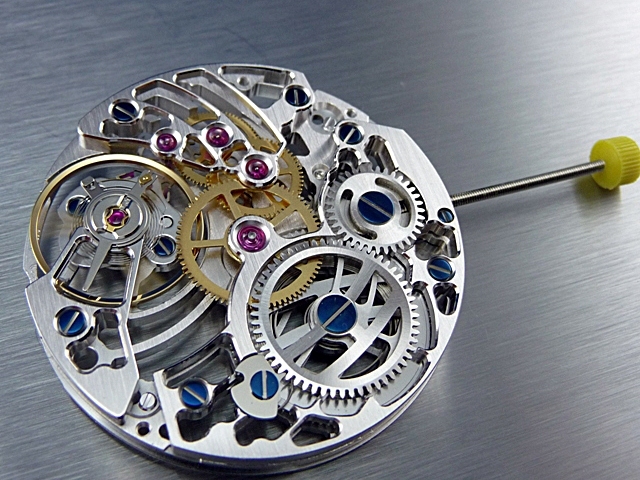 All movements we offer come with different levels of finishing. 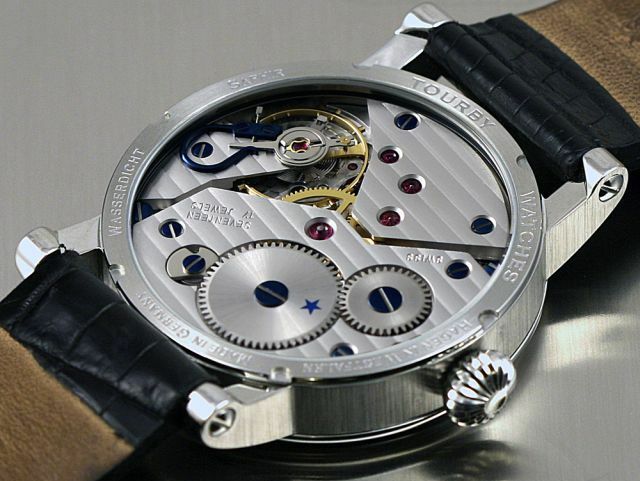 Select a movement from our collection and choose the heart for your personal Tourby watch. 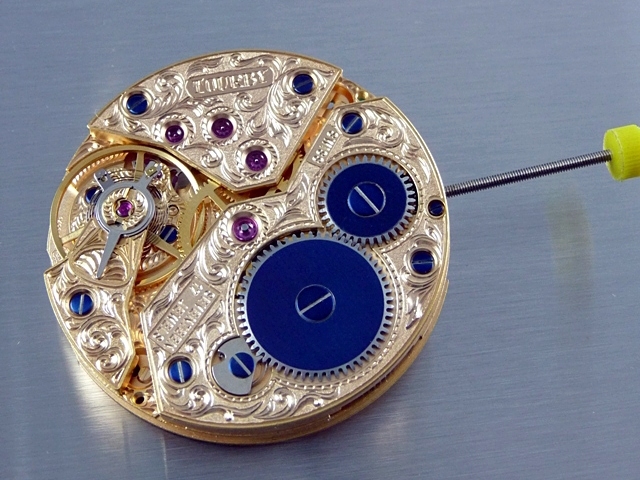 The ETA 6497-1 has been built since the 1960s and served first as a pocket watch movement. 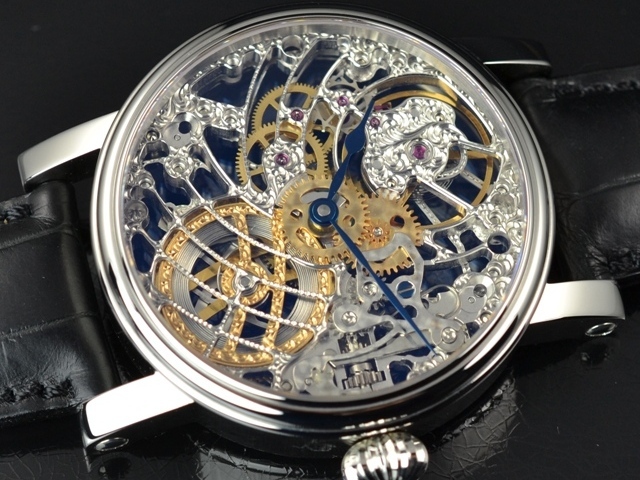 It has the small seconds at 9 o'clock and was built mainly for pocket watches without cover the so-called "open face" models. 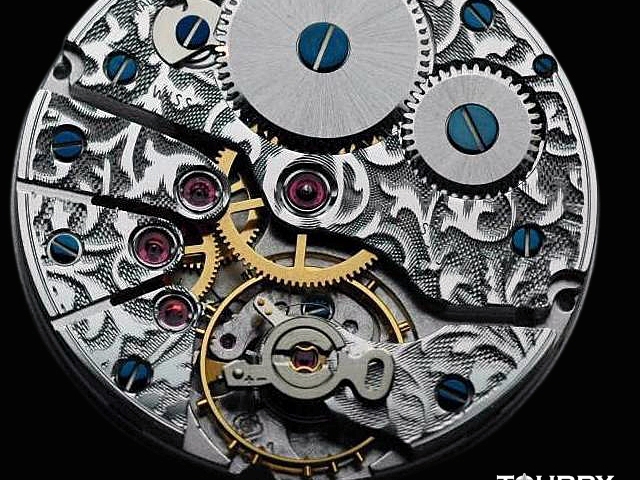 The small second is sitting paralell to the crown and the clock could be read without opening a lid. 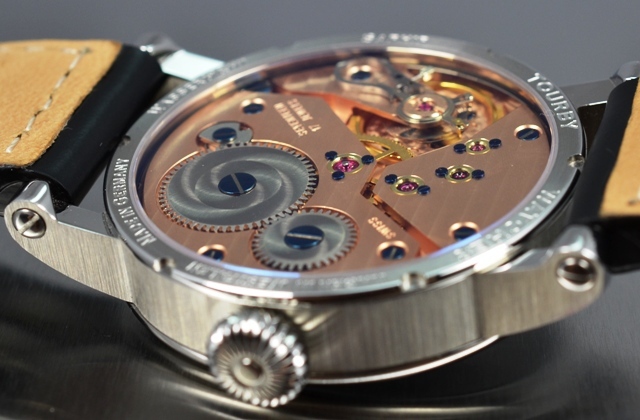 The movement was first made by the company Unitas, which was incorperated with other Movement Manufacturers together into ETA. 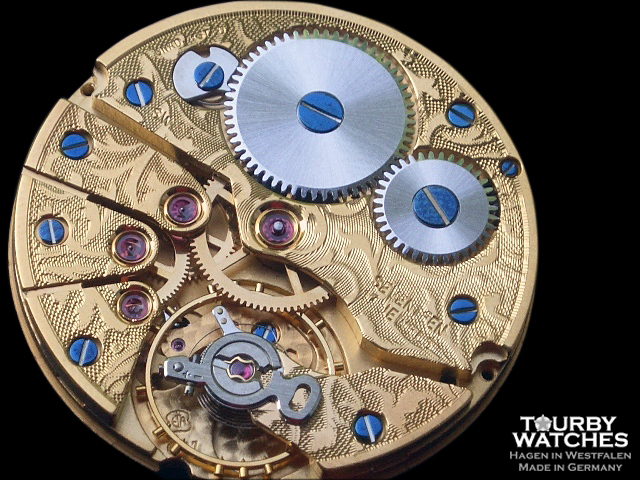 Today, the ETA is part of the Swatch Group, supplying 90% of all well known watch manufacturers with mechanical and quartz movements. 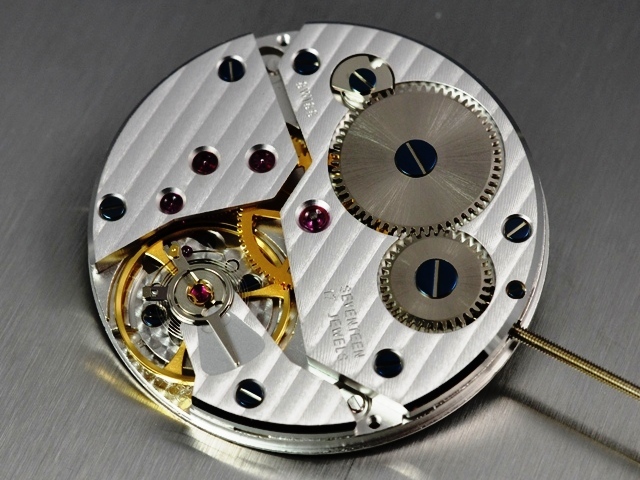 ETA can therefore be referred to as the "giant" in the Movement industry. 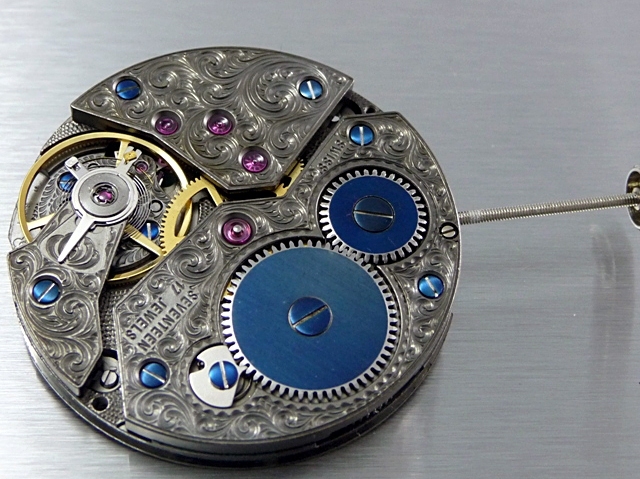 Unitas movement is the only pocket watch movement that has survived the millennium. 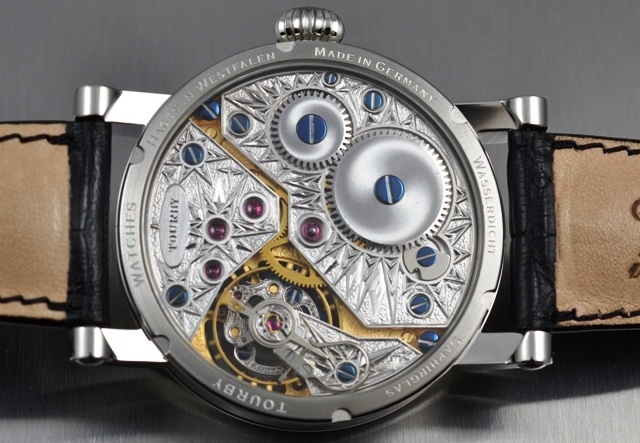 As the trend to large watches since the 1990s until today has kept this large and robust hand-wound movement popular in the watch industry. 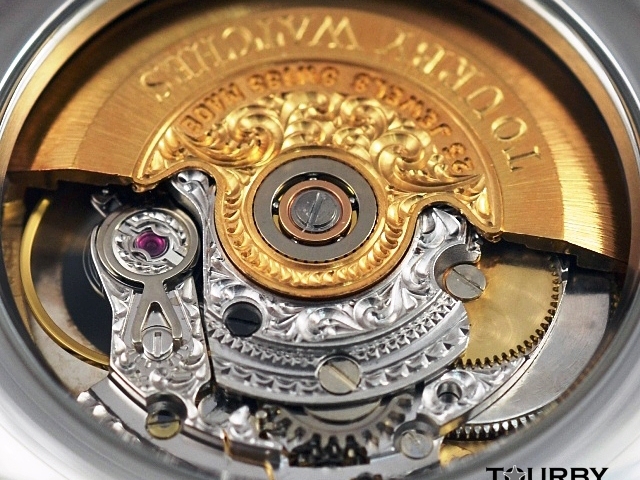 We offer the ETA Unitas 6497-1 in various stages of decoration at different prices. 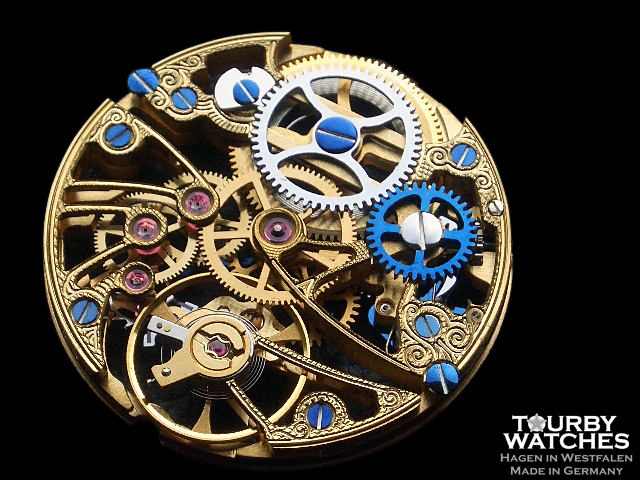 The higher the decoration, the higher the price. 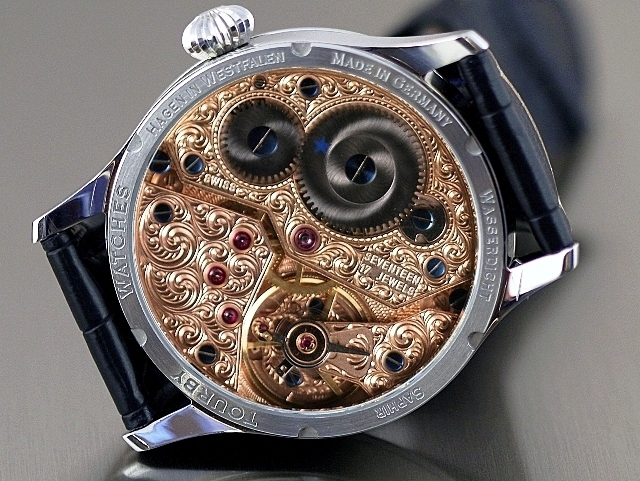 Prices for a complete watch with this movent are as low as 750.00 Euro. 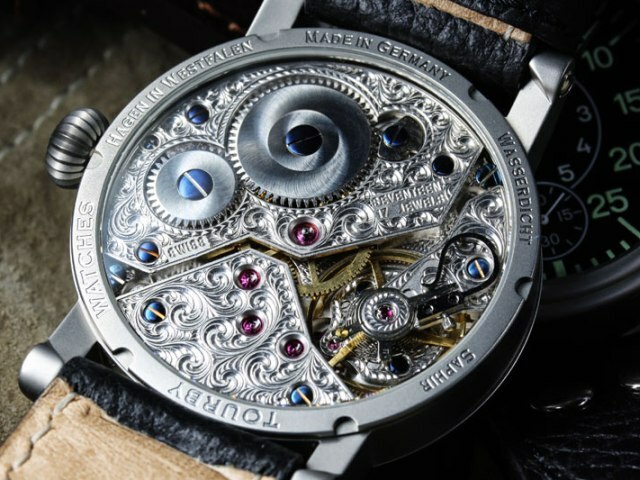 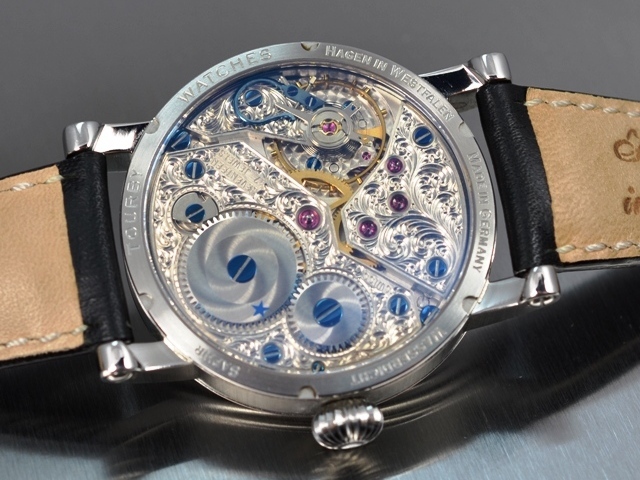 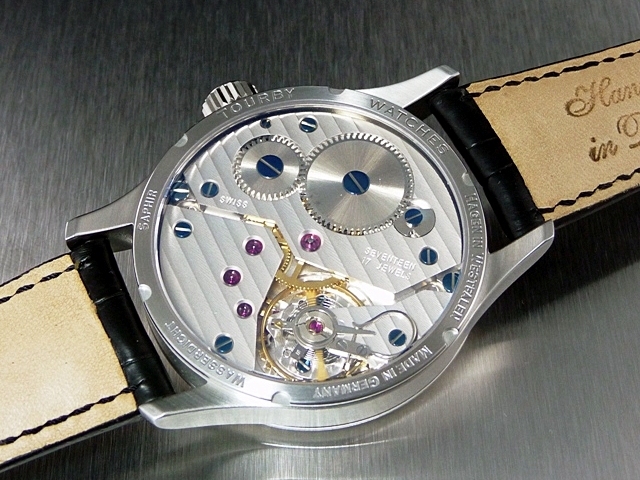 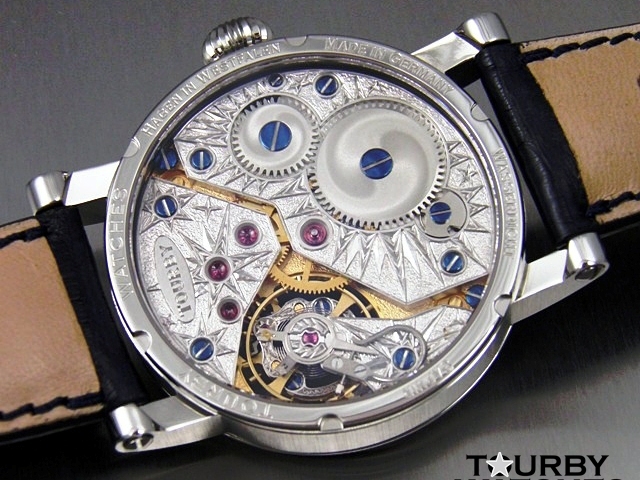 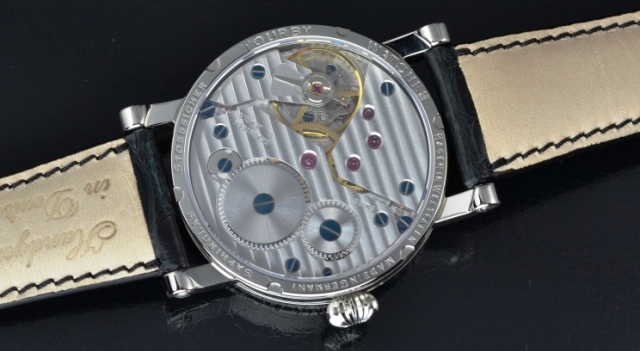 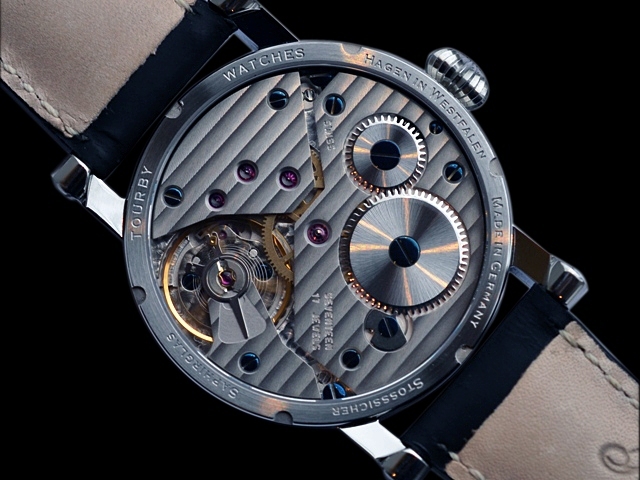 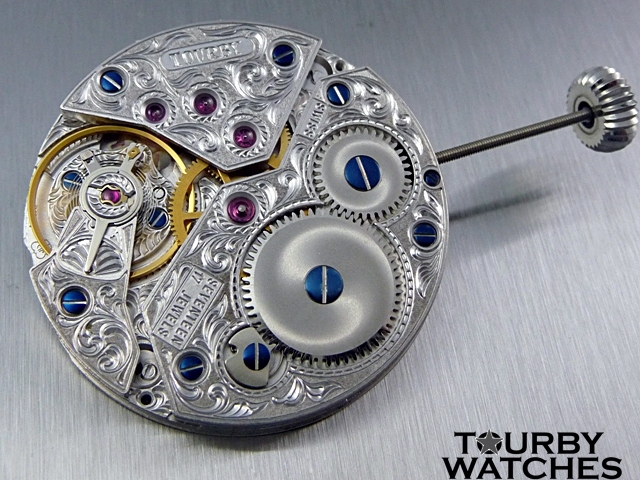 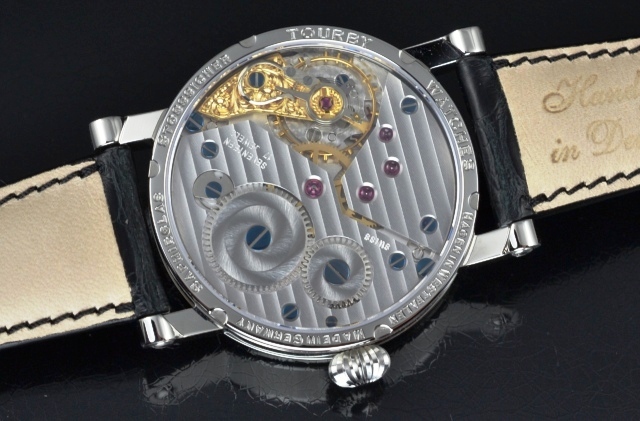 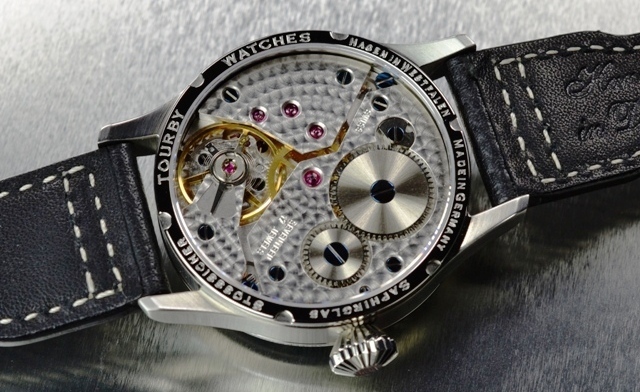 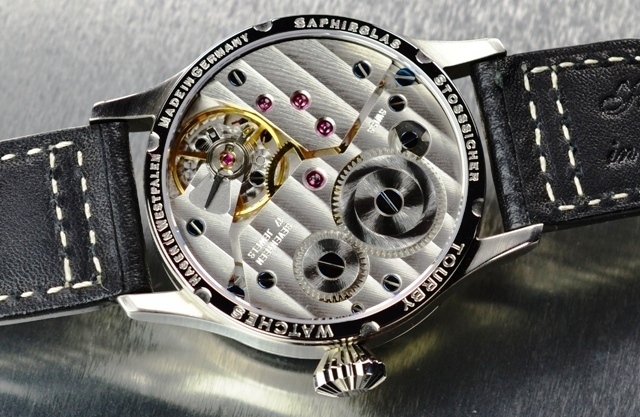 At high the higher end such as hand engraving of the movement the price can go into the thousands. 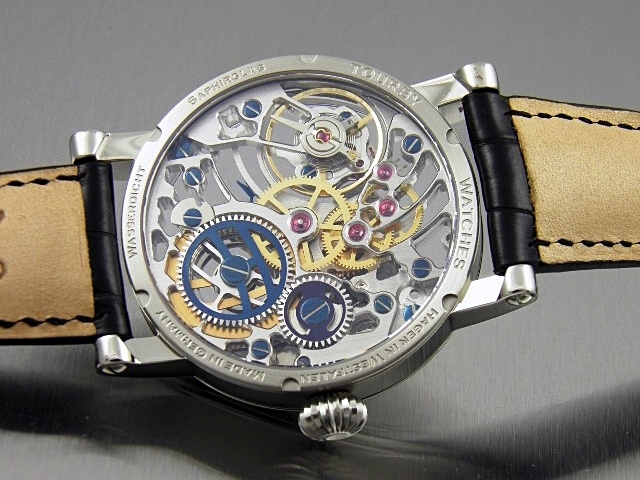 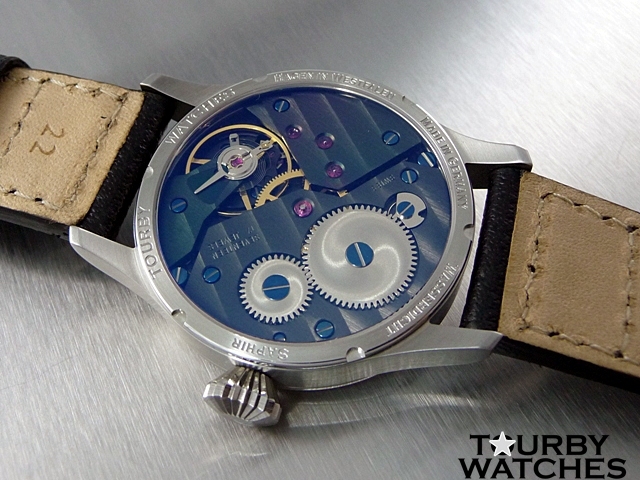 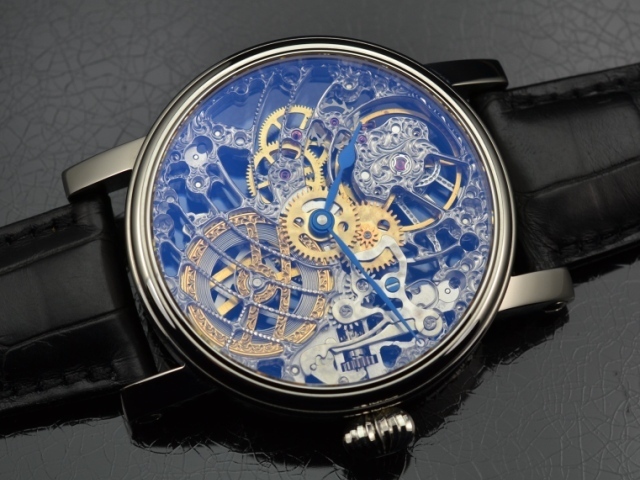 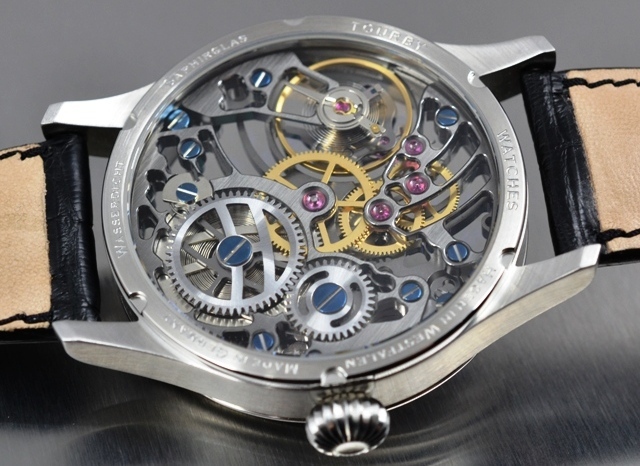 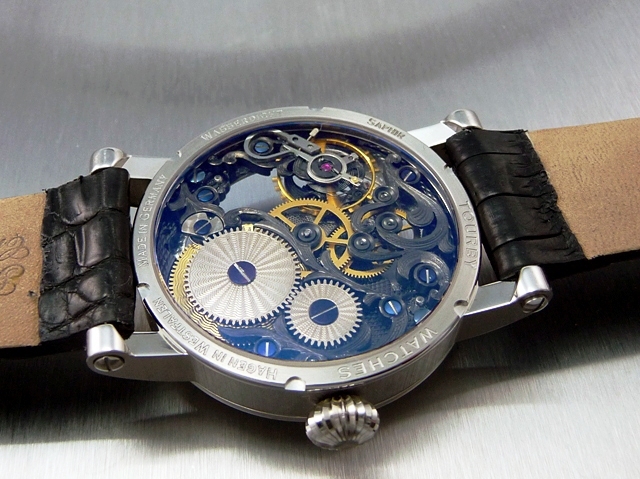 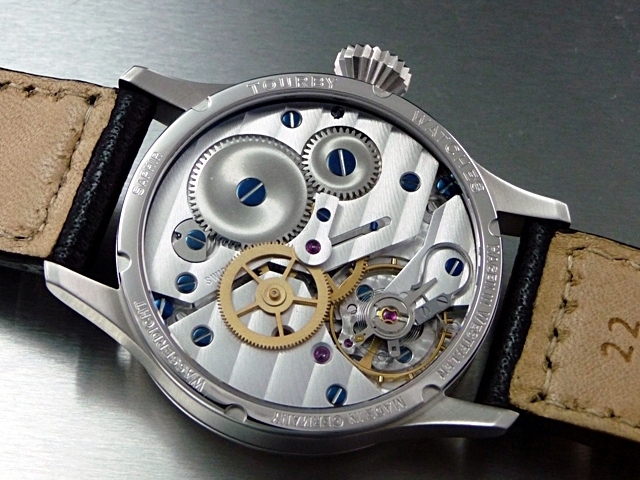 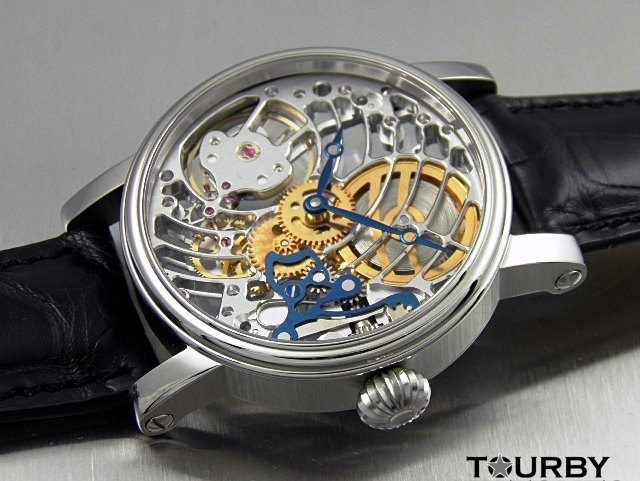 The ETA unitas 6497-1 is also available in a full-skeleton model. 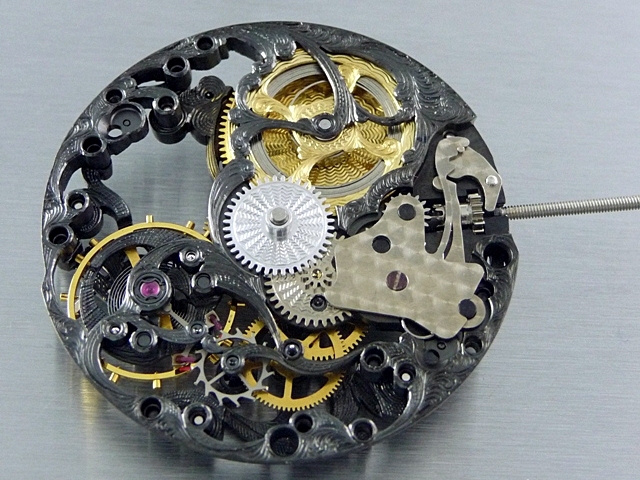 The skeleton work is in various different decorative finishes. 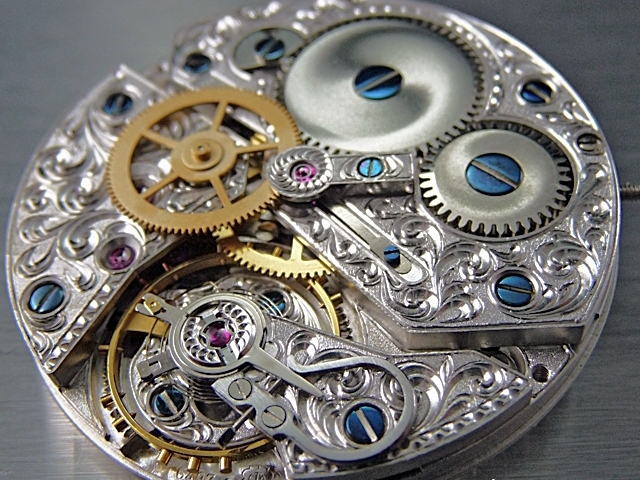 From simple polished bridges and plates to beaded or hand-engraved parts. 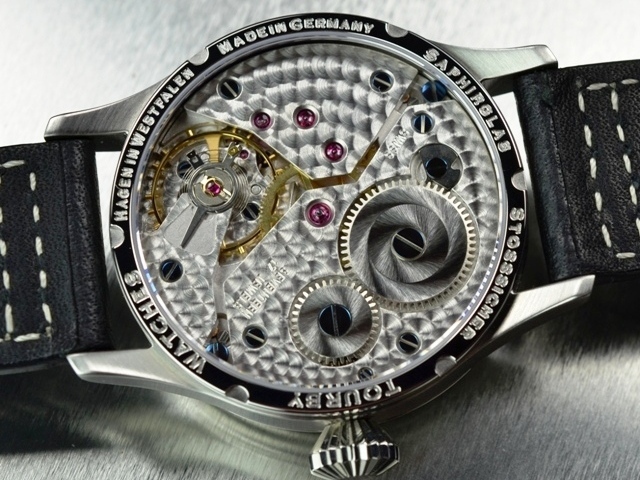 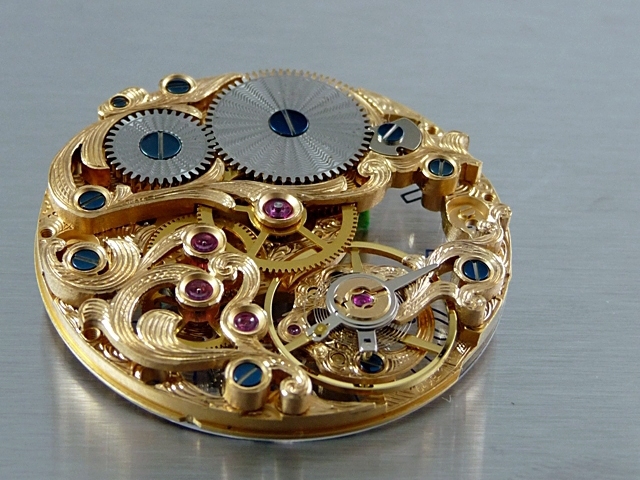 Various parts such as the barrel, hour wheel or winding wheel can be plated to produce a contrast with the rhodium-plated work. 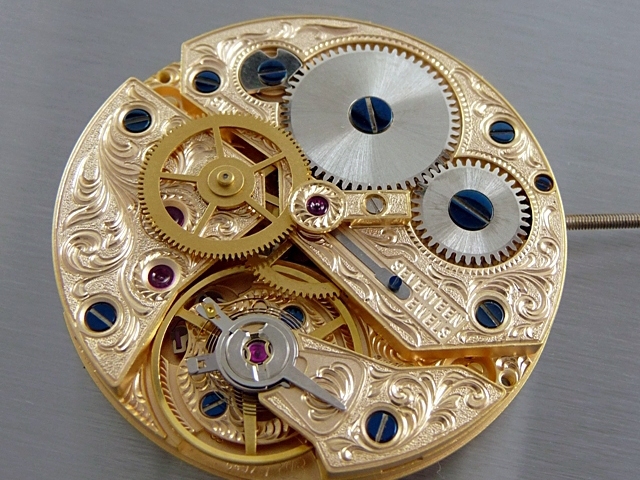 Also completely gilded movements are possible on request. 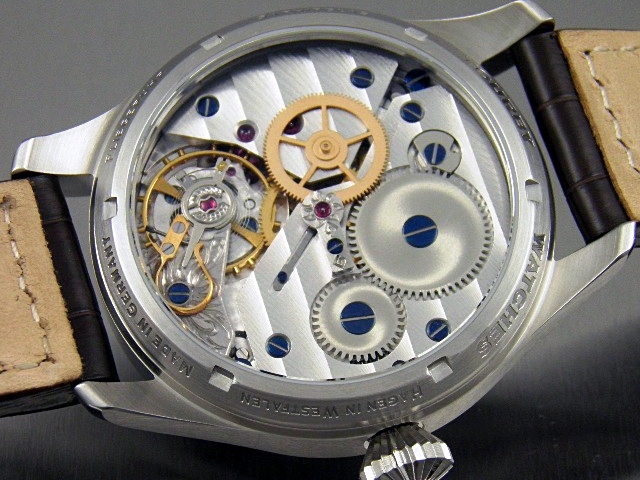 The ETA 6498-1 Untitas is a typical "Savonatte" movement. 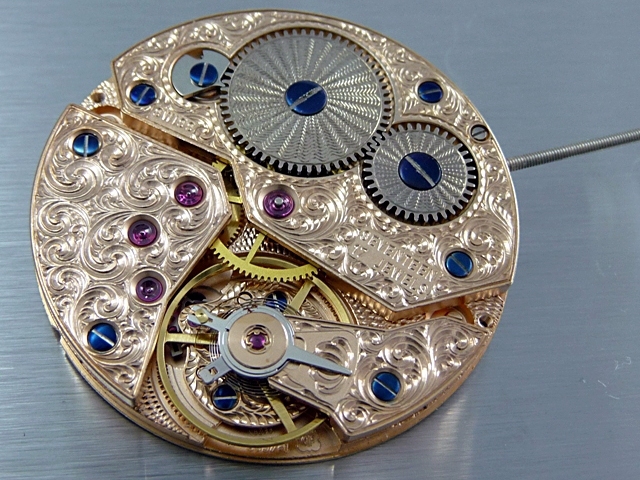 It has the position of the small seconds at the 6 clock position and was built mainly for pocket watches with covers. 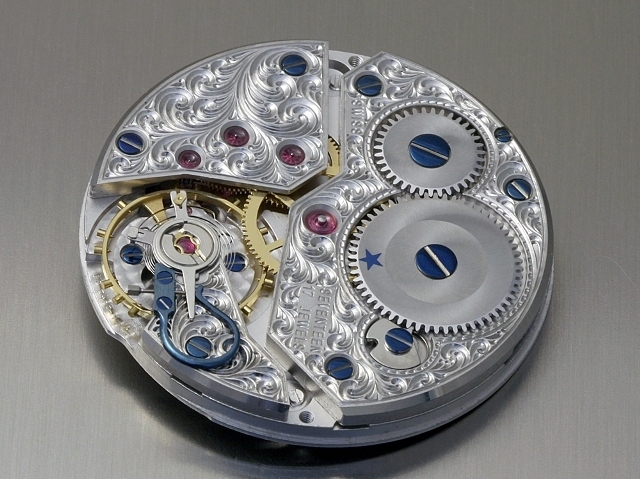 The crown stem is at 0° in relation to the small seconds at 90°. 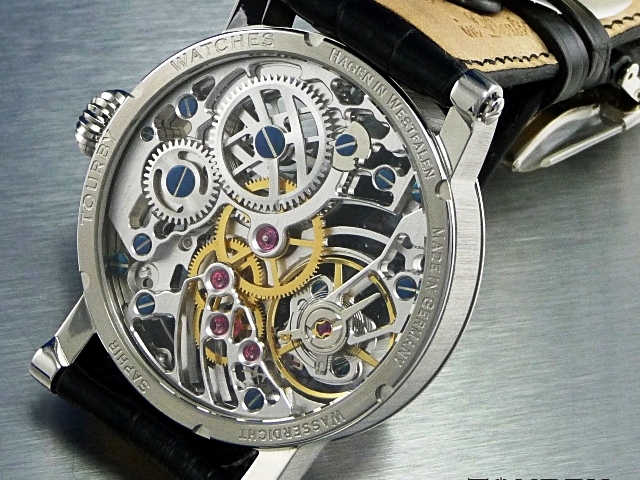 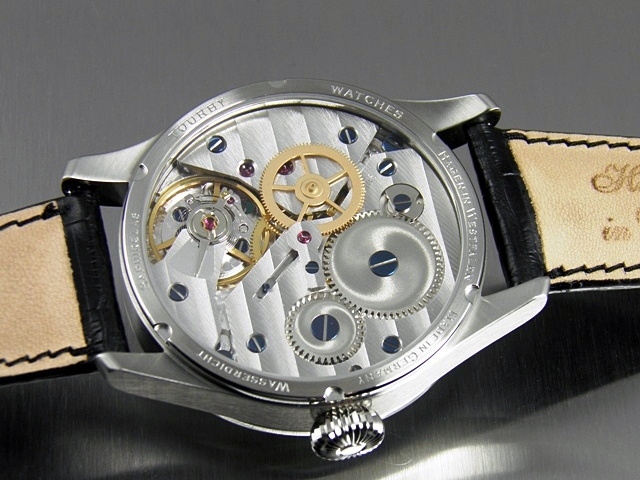 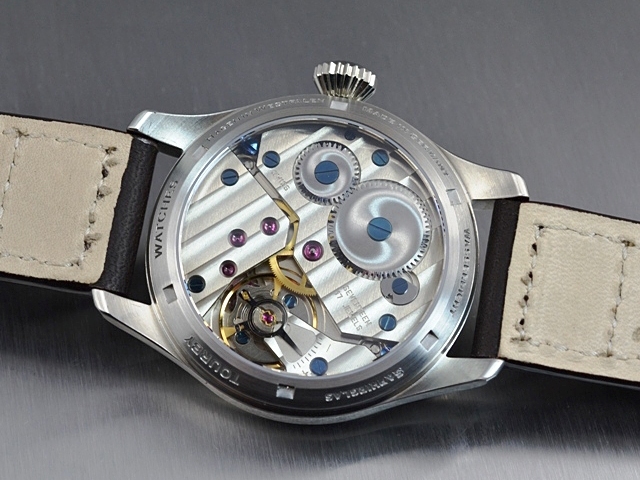 The movement was designed by Unitas in the 1960s and given the Unitas caliber designation of 6498 by the company. 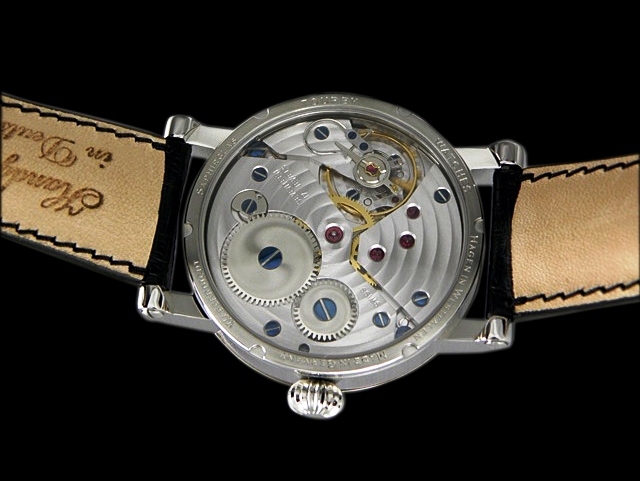 After the Unitas company passed into the ETA fold it was called "ETA 6498". 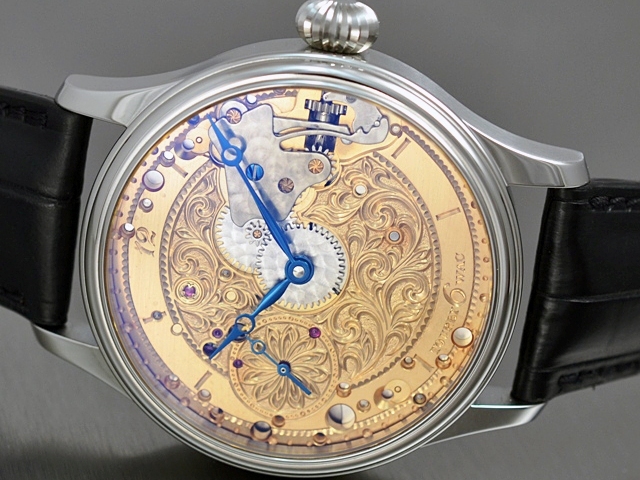 The revised version in the early 90s then was called "ETA 6498-1". 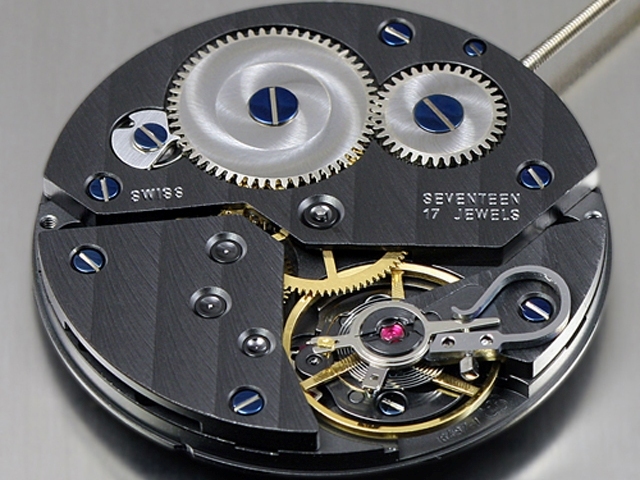 The movement has 17 jewels (rubies) and oscillates very slowly, typical of pocket watches at 18.000 A / h. This movement is currently the only pocket watch which is still manufactured on a large scale that has survived since the 1970s the quartz crisis. 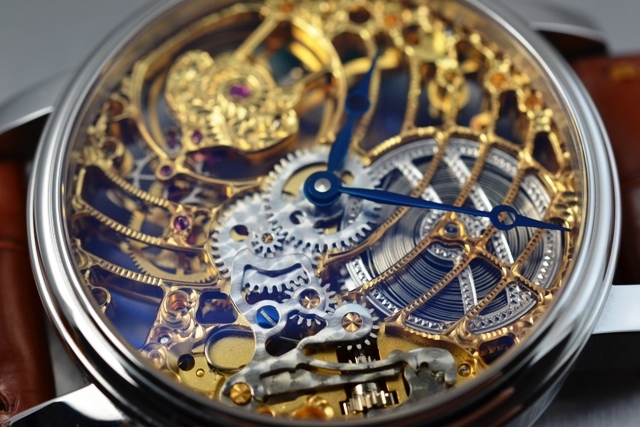 Therefore it is also the most widely used pocket watch movement of his time. 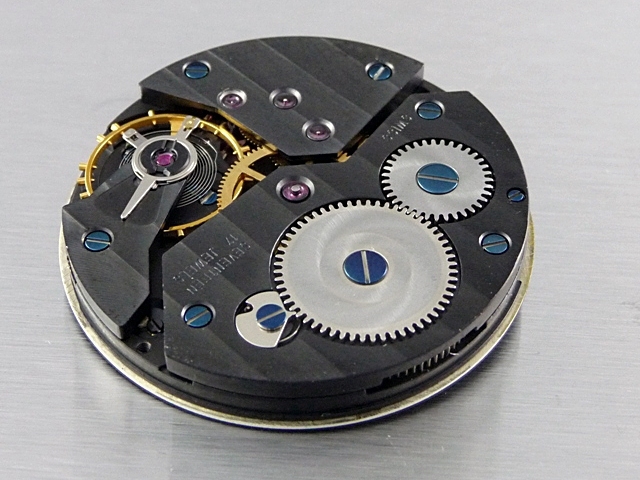 It is used by all major luxury manufacturers who do not have their own pocket watch movements. 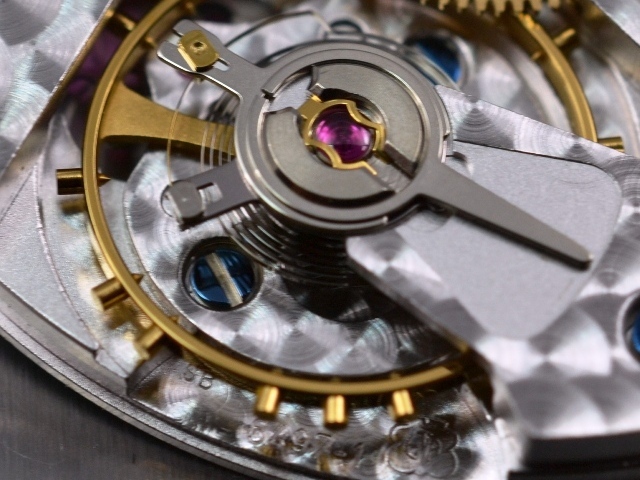 Certain luxury manufacturers modify this movement on themselves and give it their own caliber designation. 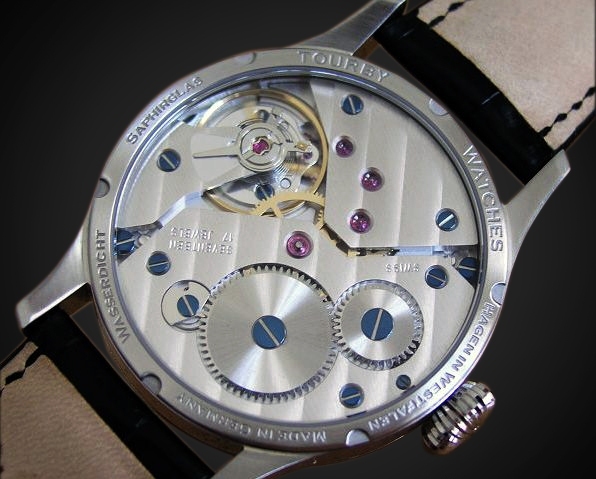 So reworked Unitas 6498 movements can be found in watches with a retail price of more than 10,000.00 Euros. 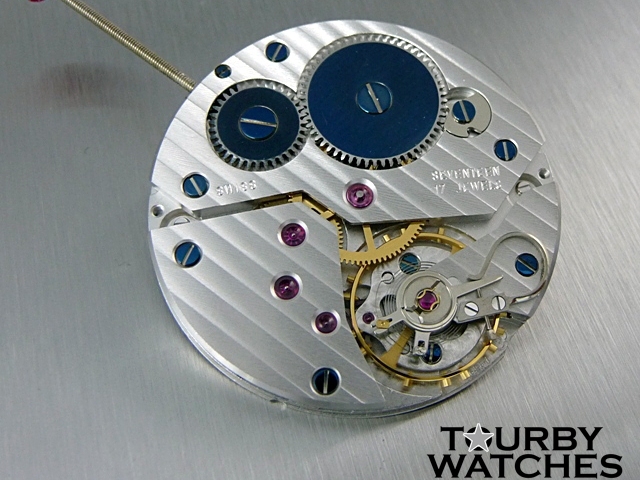 We offer the ETA Unitas 6498-1 in different levels of finish. 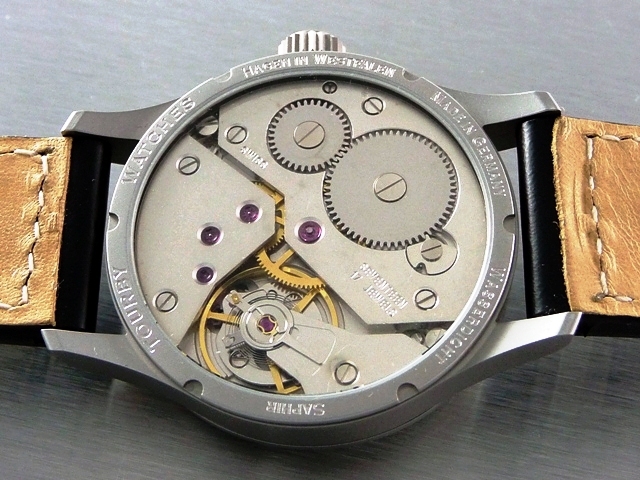 The ETA Unitas 6498-2 is a technically highly modified version of 6498-1. 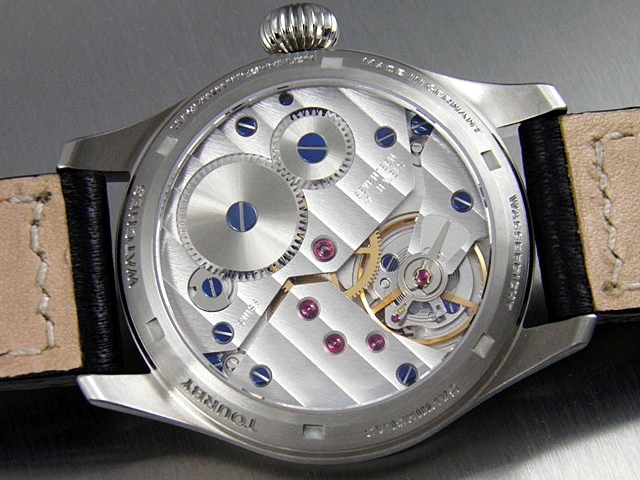 At -2 plant using a much finer teeth, which leads to a better interaction of the wheels. 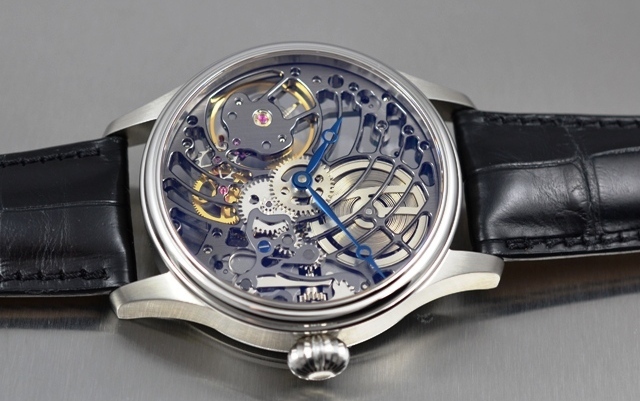 In addition, the movement has a beat rate of 21,600 A / h (Oscillations per hour). 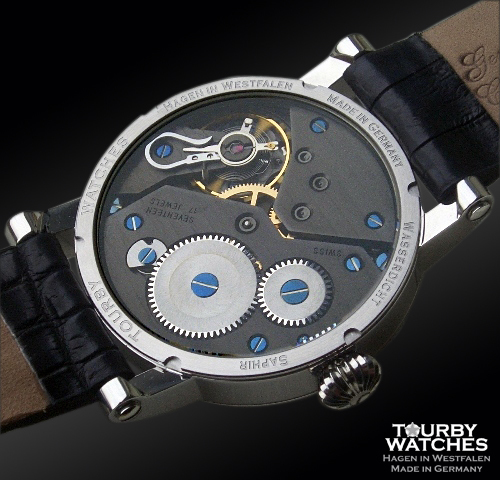 The power reserve is longer with 56 hours thats an extra 10 hours over the 6498-1 due to the modified mainspring. 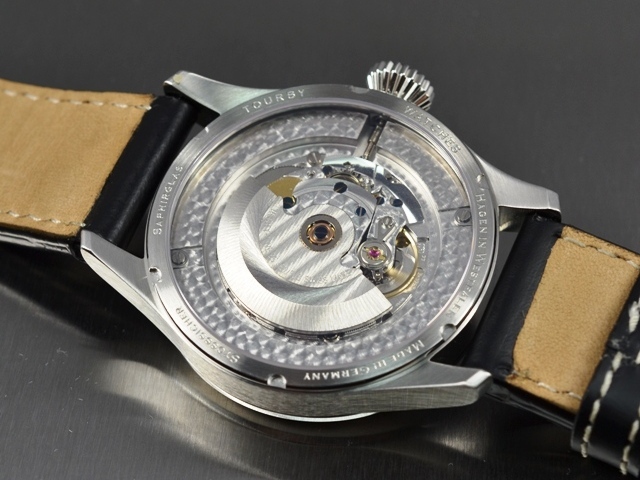 The -2 works are extremely rare and very hard to get on the market. 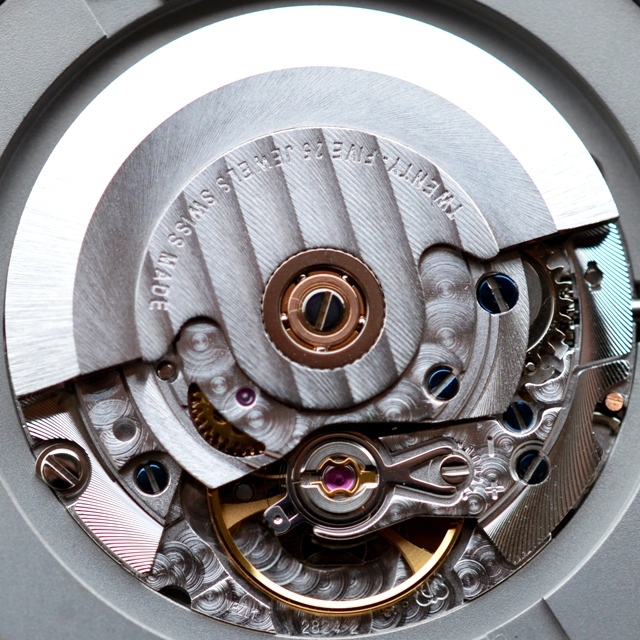 The ETA 2824-2 is a Swiss automatic and probably the most-used movement in the world, it is also one of the most reliable movements. 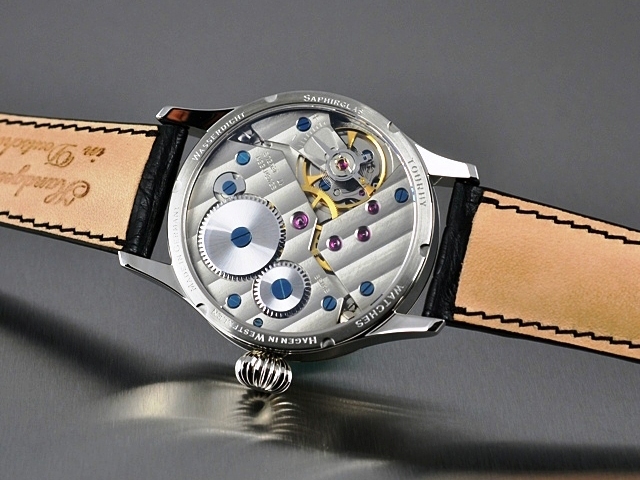 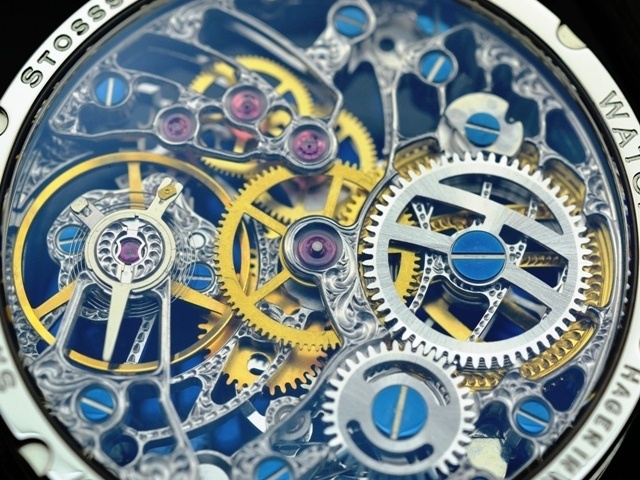 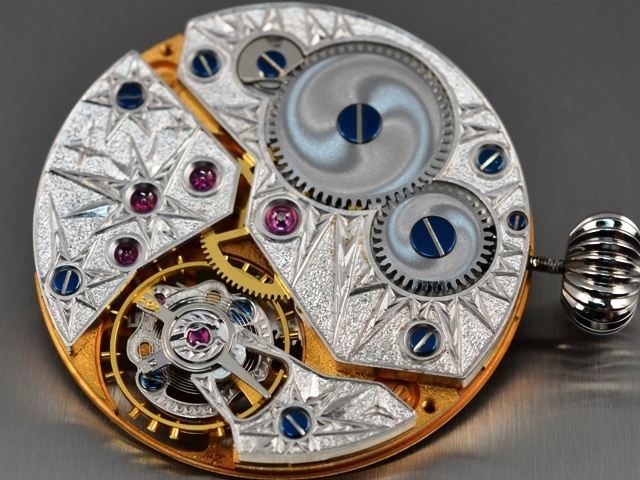 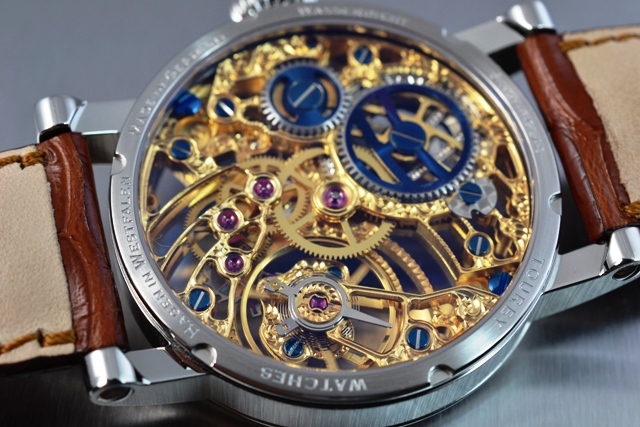 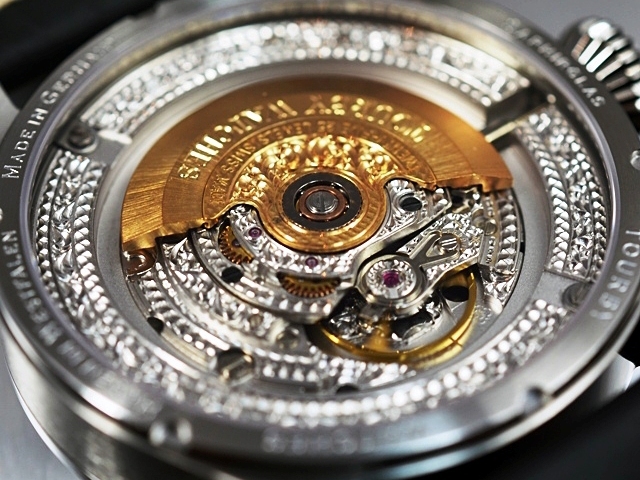 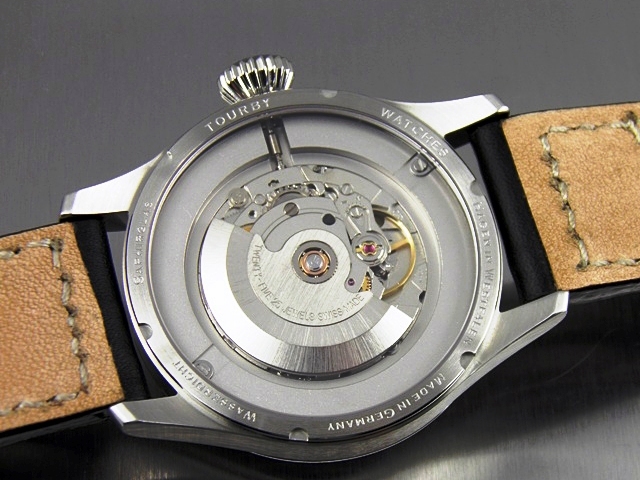 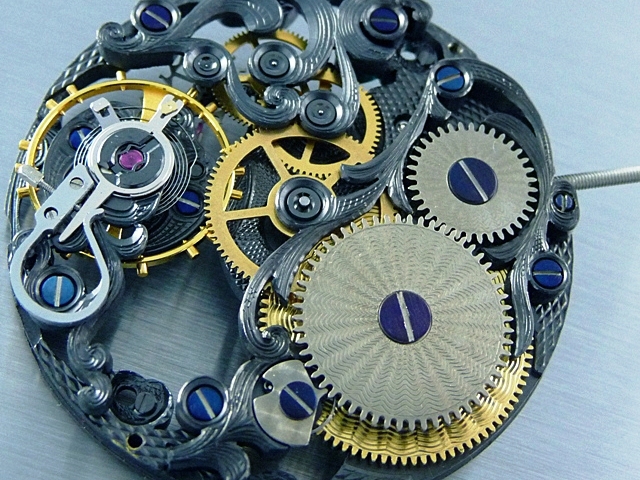 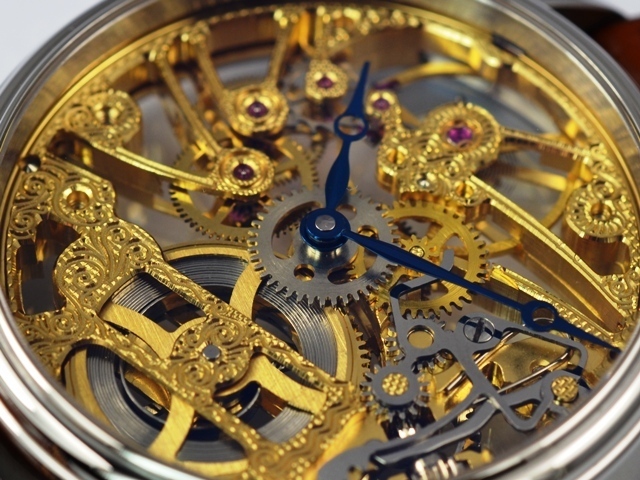 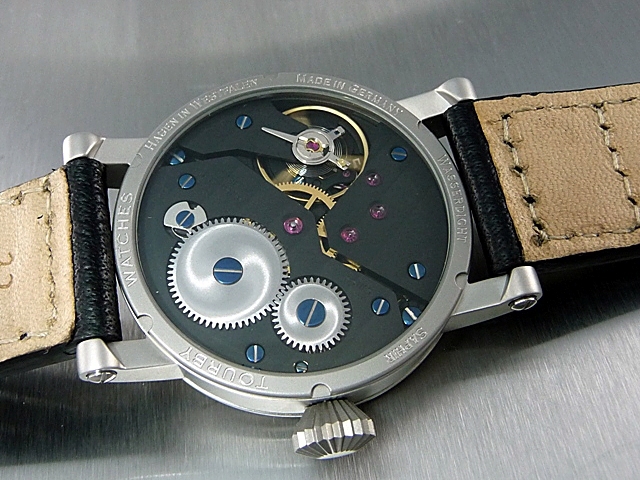 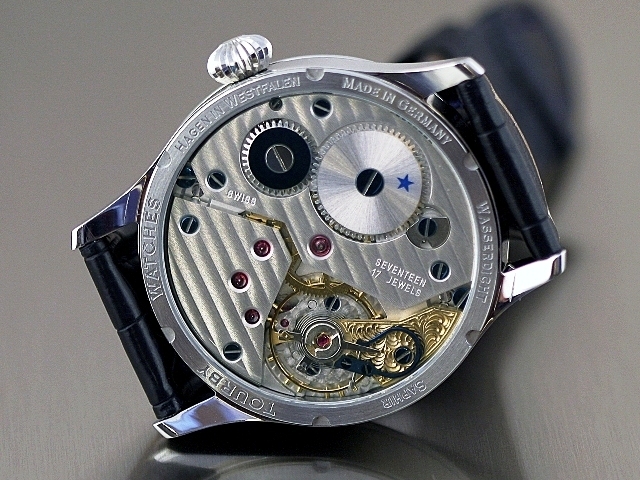 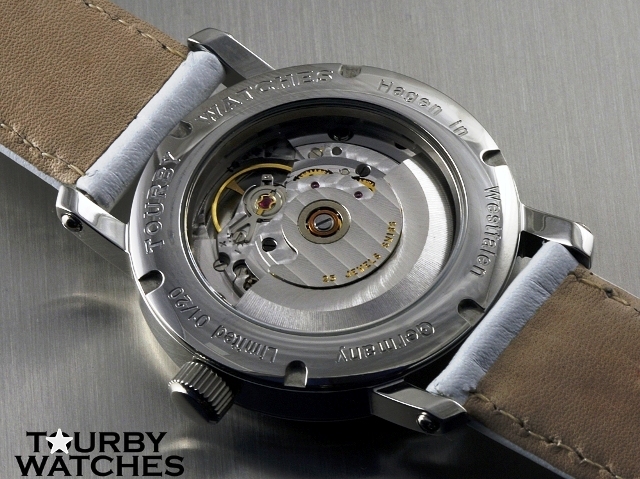 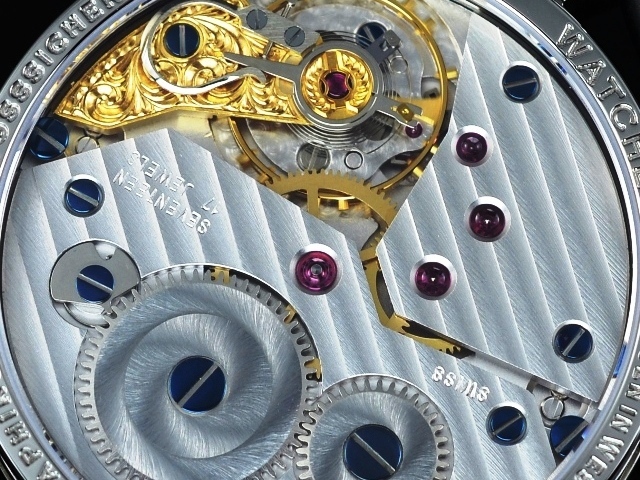 The movement is often referred to in the watch industry as a "tractor". 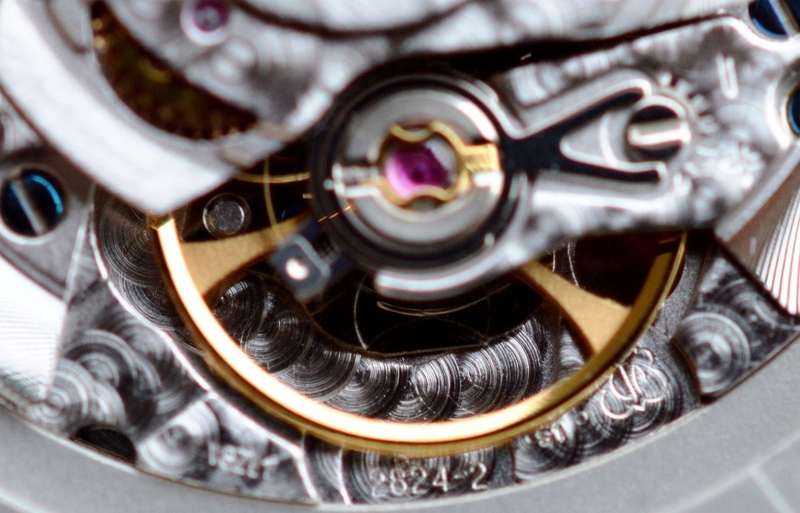 This has something to do with the rotor, which is a little louder than you would for example from the more elegant ETA 2892. 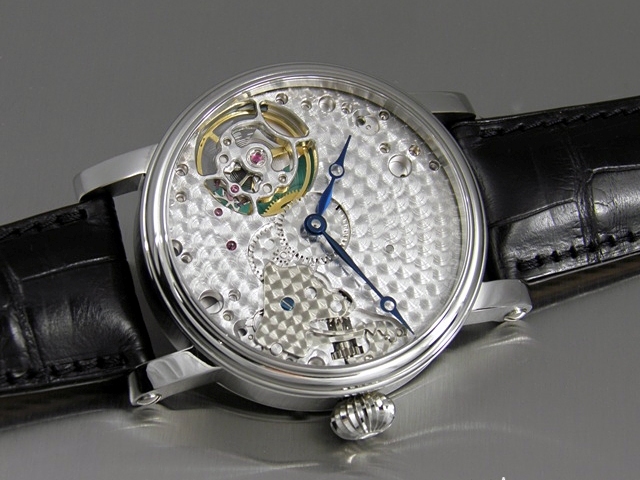 The 2824 has less flaws than the 2892, and has never let itself be pushed aside by its successor. 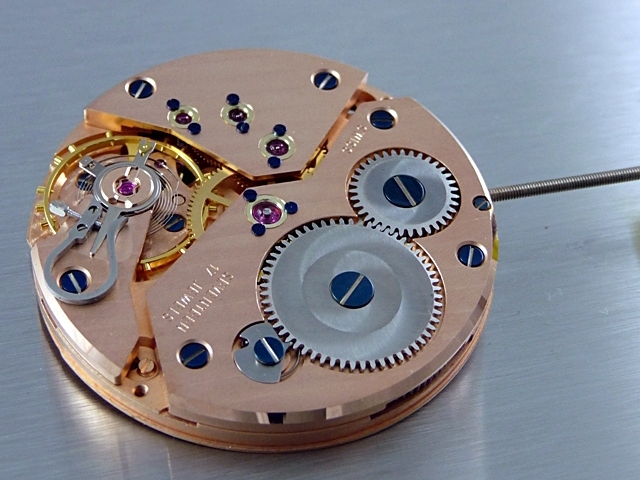 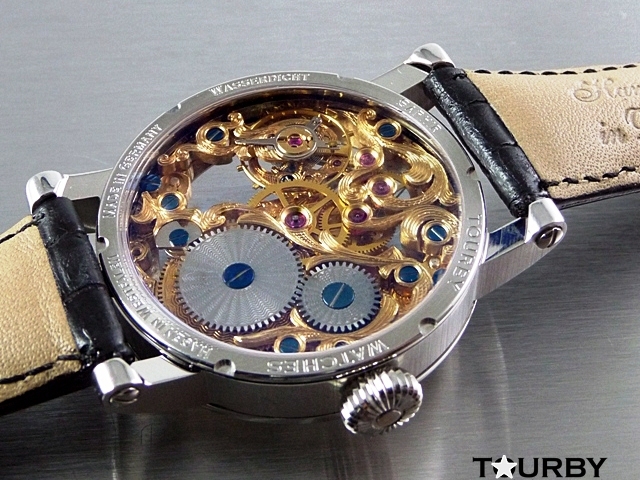 The movement is used in watches from 750 € up to 5000 €. 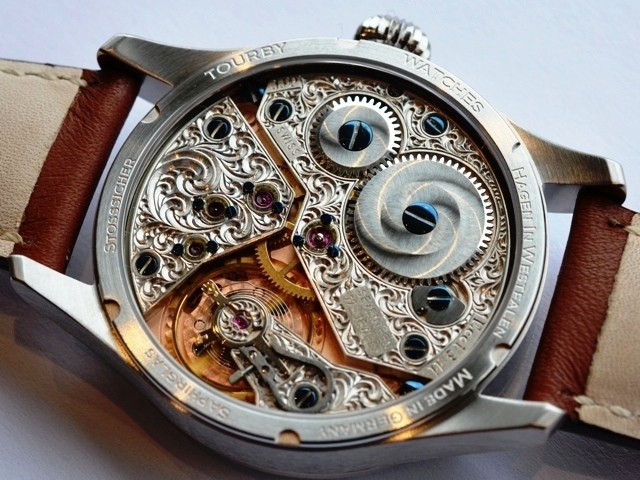 Depending on the quality and refinement of the piece. 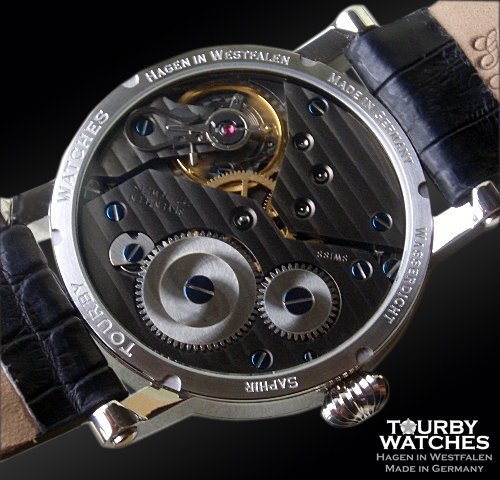 This movement is avaliable in different quality levels: Standard, Elaboré, Top and Chronometer. 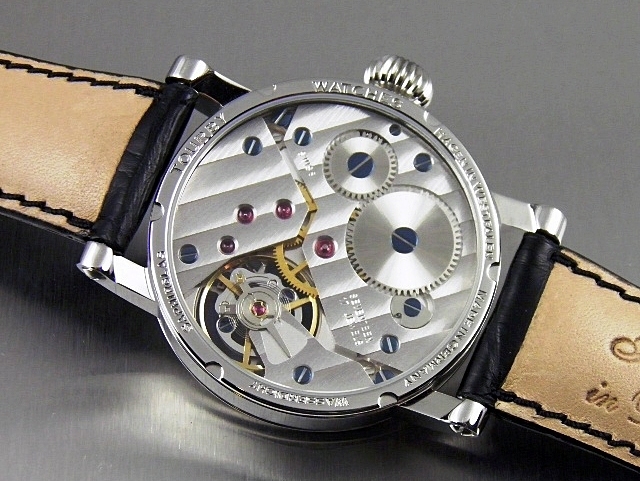 You can also get it without decorations or decorations such as Genver stripes, perlage and blue screws. 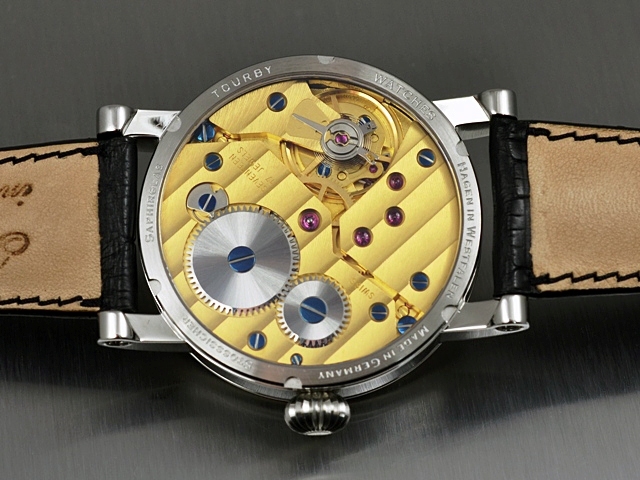 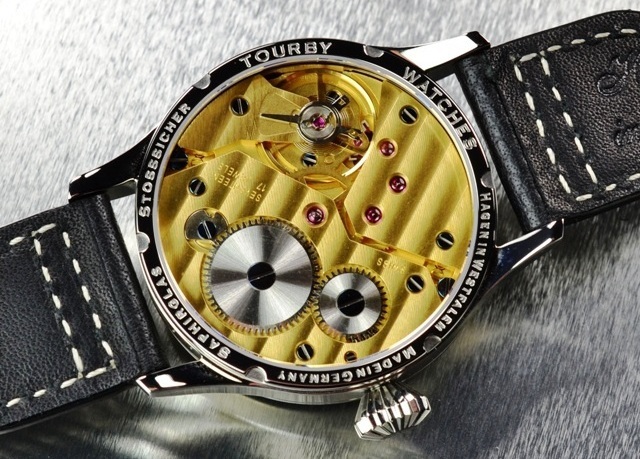 On request Tourby can decorate the movement with hand engravings to turn this "tractor" into a true "sports car".